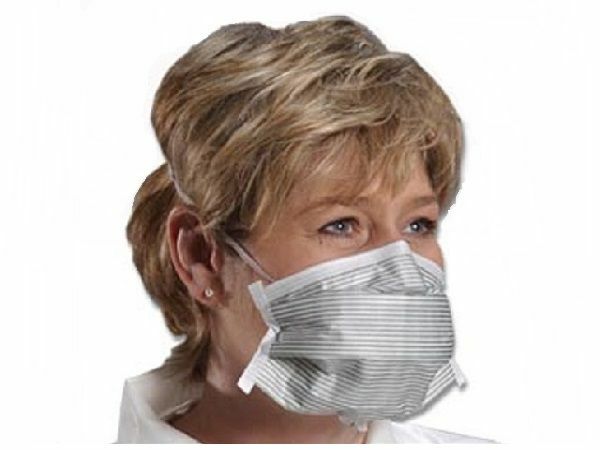 Designed for ultimate comfort this durable facemask is ideal when carrying out laser procedures. During many laser procedures a plume containing very small particles can be generated. These fine particles are so small that they are not filtered by regular facemasks. The PFL Laser Facemask provides 0.1 micron filtration, specifically designed for laser procedures where a plume is generated. Using advanced Positive Facial Lock technology combined with the Twist Seal chin piece, the PFL Laser Facemask ensures a no-gaps fit regardless of face size or shape. With a patented Magic Arch the design keeps the mask away from the mouth for more comfortable breathing without restricting downward vision and helps eliminate the potential of inhaling small particles around the edge of the mask. The disposable masks are designed with single elastic to keep mask secure and are made of hypoallergenic material with a smooth soft interior designed for ultimate comfort.